I worked on this collage last week while waiting for my current paintings to dry. 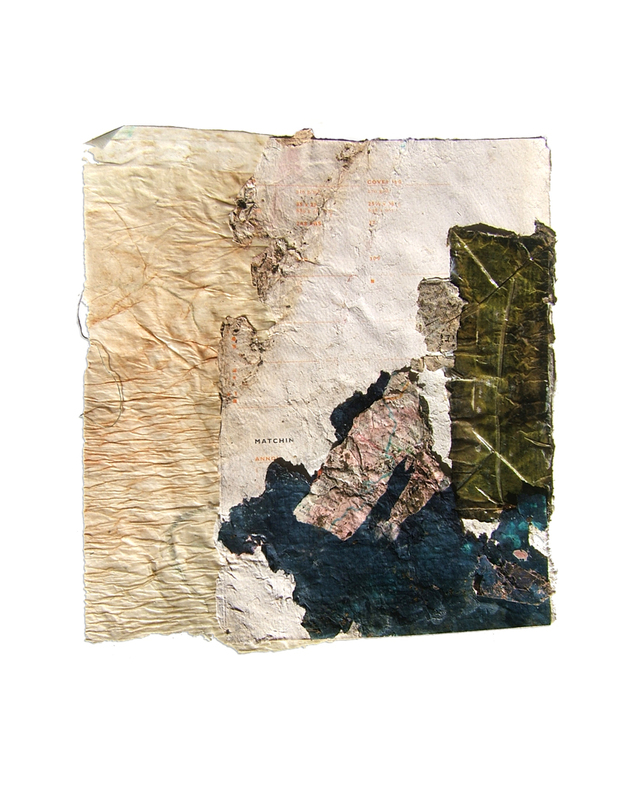 There are a few more pieces of weathered papers in my stack, but I do need to put some more new papers outside for exposure to the elements. Today would have been a good day to do this, but I got carried away planting English peas, which required that I prepare my raised beds with some nice new compost. After all that, I was ready to put my feet up and relax. Maybe I can put some papers out in the corner of the yard tomorrow. Hope it’s a creative week for you. Loved those weathered papers. And I love this collage! Seth, I am so in love with the weathered papers. Thank you for the inspiration!